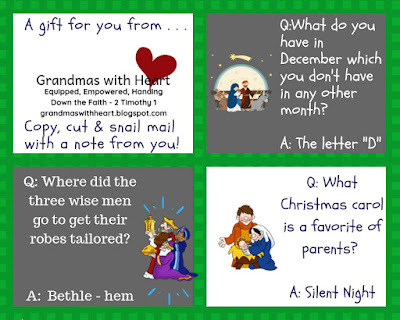 So, today we are happy to give you another set of cards which you are able to download for free and print, add your own special message on the back and then mail to your grandchildren. 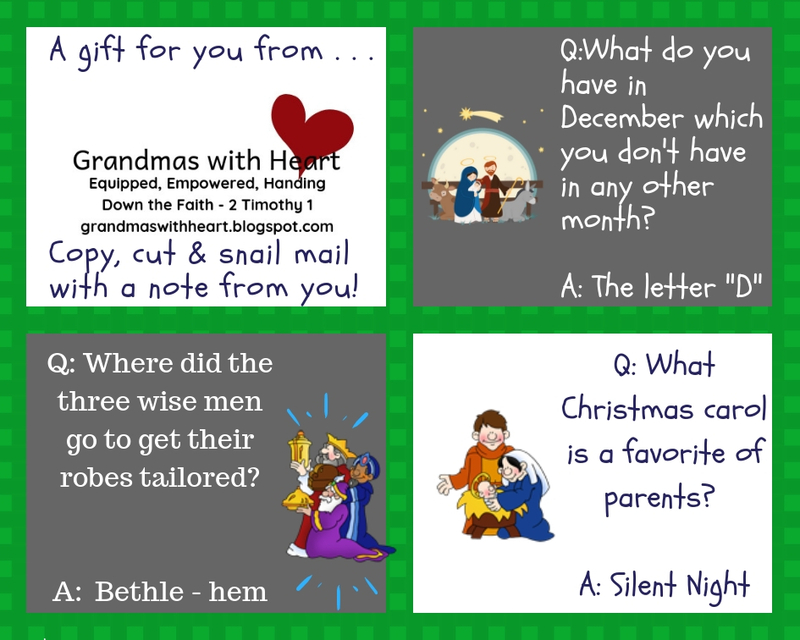 This one adds a touch of fun for Christmas - cut the cards apart and send all three over several days for more fun - and to hand down the faith - a great combination and these cards - which you will find at this link - are free - our gift to you! Feel free to share with the parents and grandparents in your ministry.